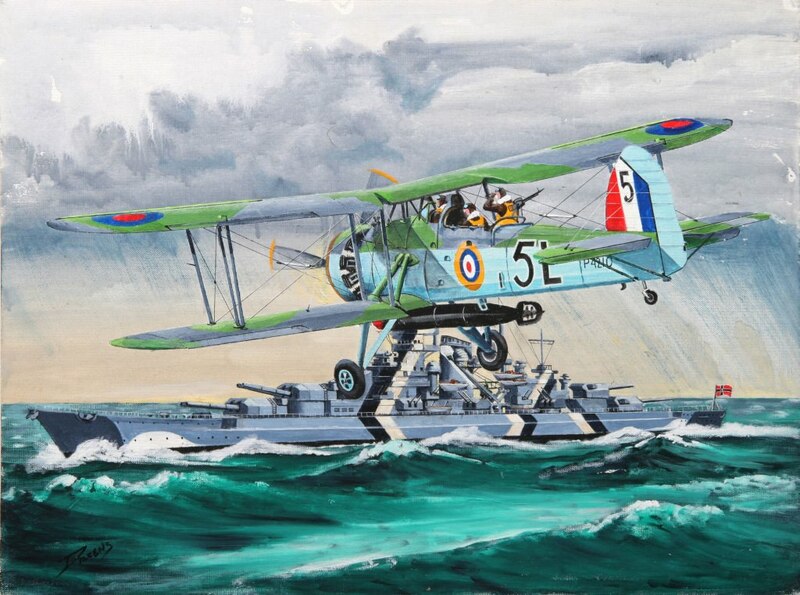 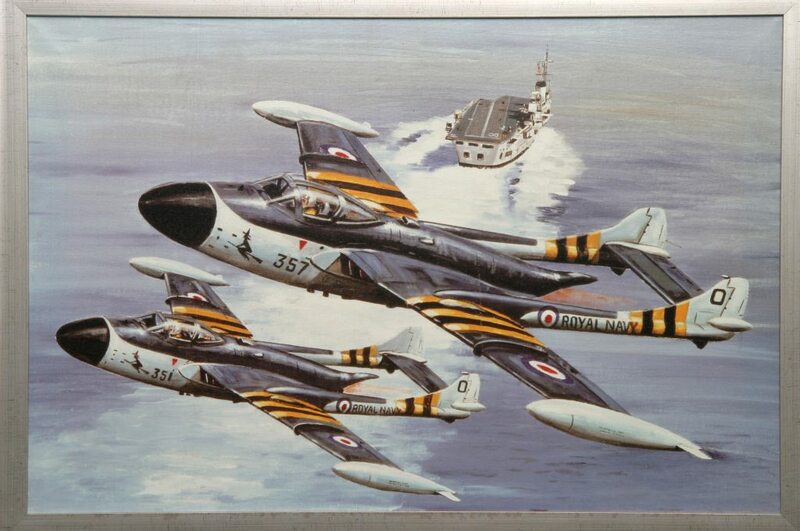 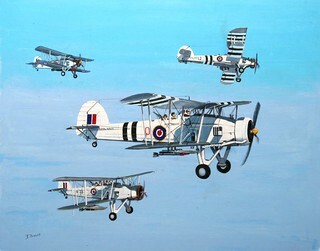 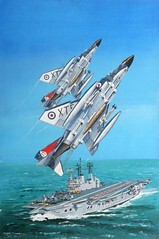 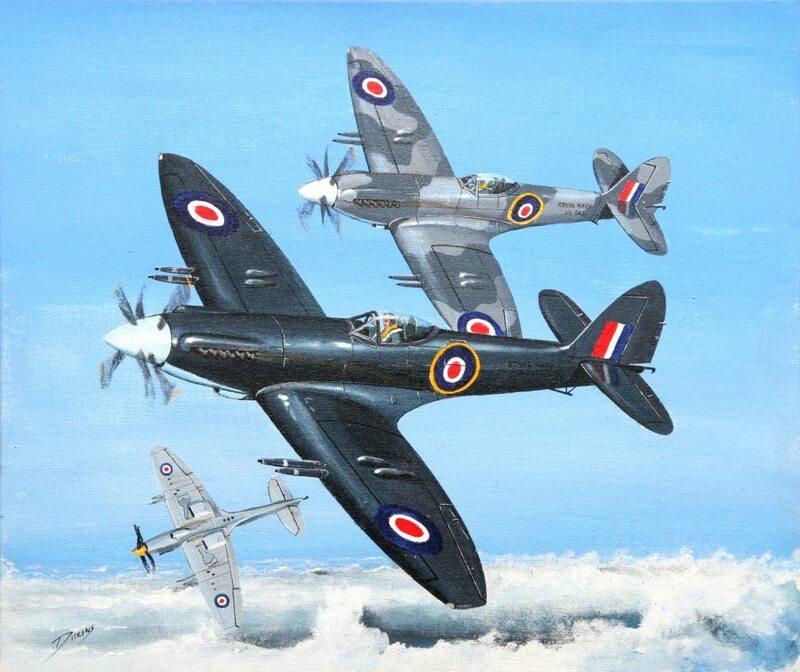 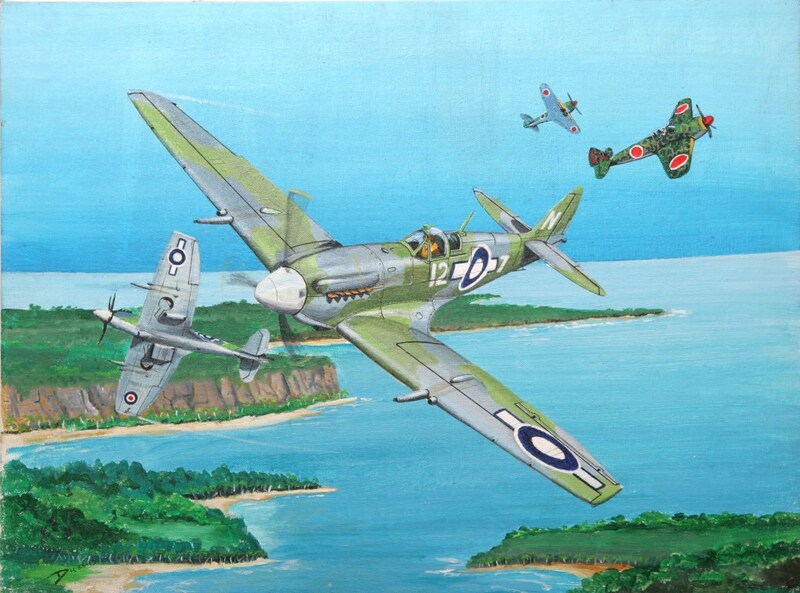 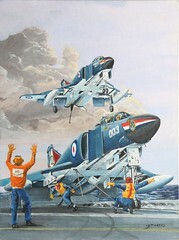 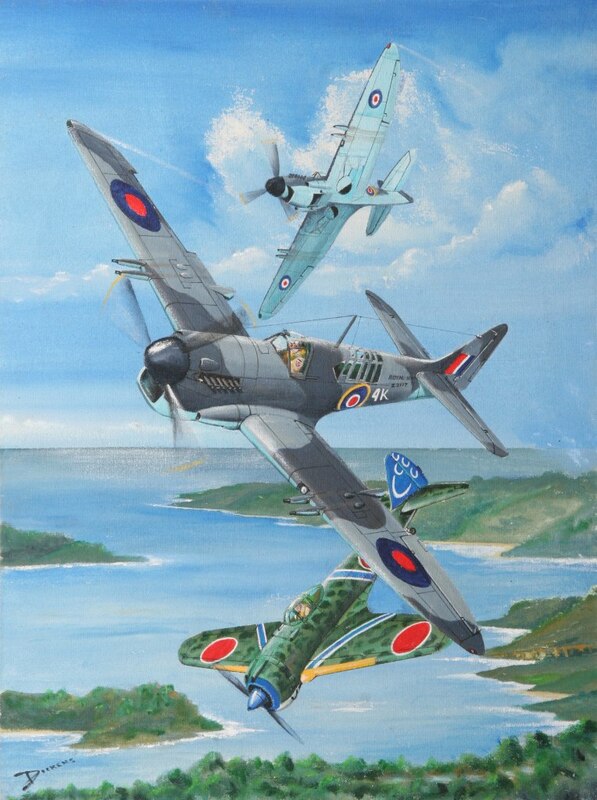 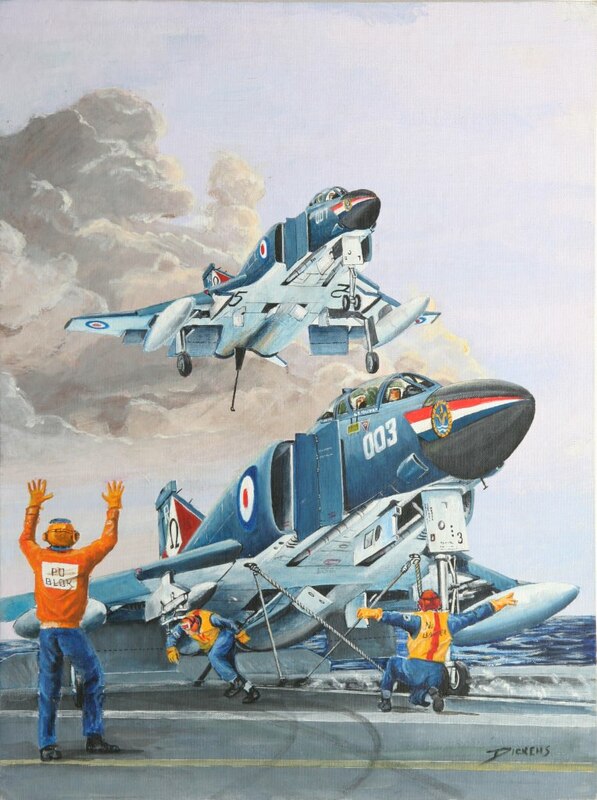 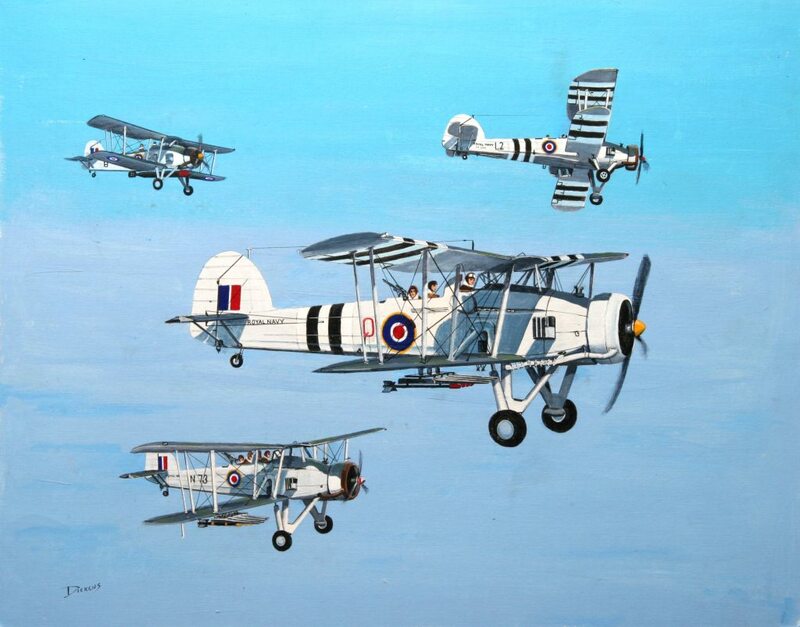 Internationally renowned artist, and local Hermanus resident, Derrick Dickens’ aviation artwork featuring aircraft of the Royal Navy’s Fleet Air Arm, as seen here, is the subject of a recently published book. This magnificent work of 168 pages is entitled Illustrated History of the Fleet Air Arm – Stringbag to Shar 1938 to 2006. 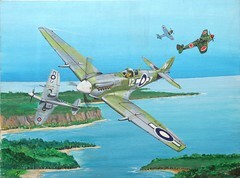 It features paintings of every type and mark of fixed-wing front line aircraft to serve in the FAA from 1938 to 2006. The forward was written by the Admiral of the Fleet, HRH Prince Philip, Duke of Edinburgh. 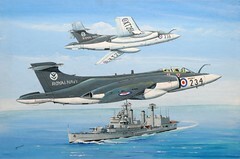 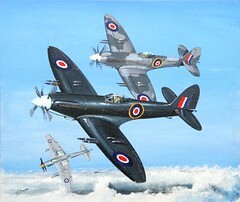 Prince Philip also chose the painting Swordfish, on page 6 of the book, which now hangs in Buckingham Palace. 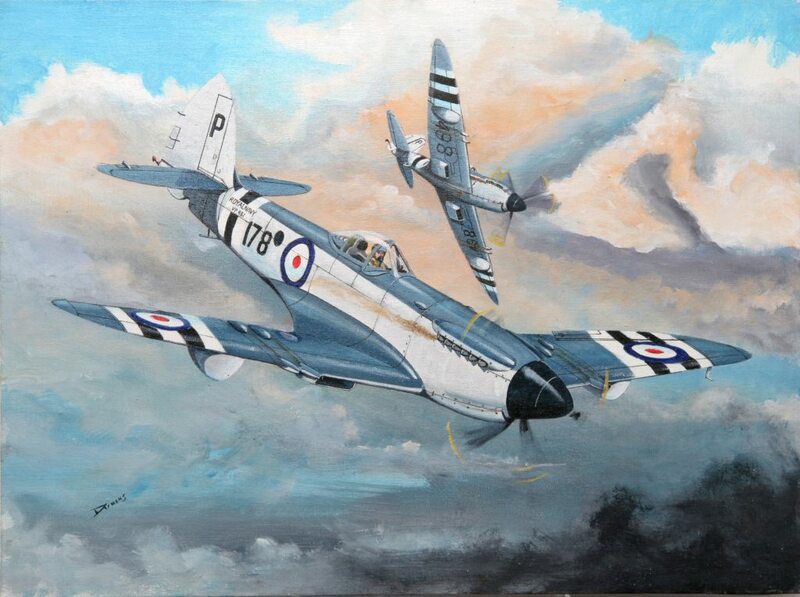 After matriculating at the Pretoria Boys High School where one of his main subjects was art, he enrolled at Rhodes University, in Grahamstown, South Africa, where he majored in Fine Arts and Design. Derrick’s career as an aviation artist emerged rather late in life and more specifically when he retired after many years, first in show business as a set designer and painter, and then in the world of advertising and marketing. 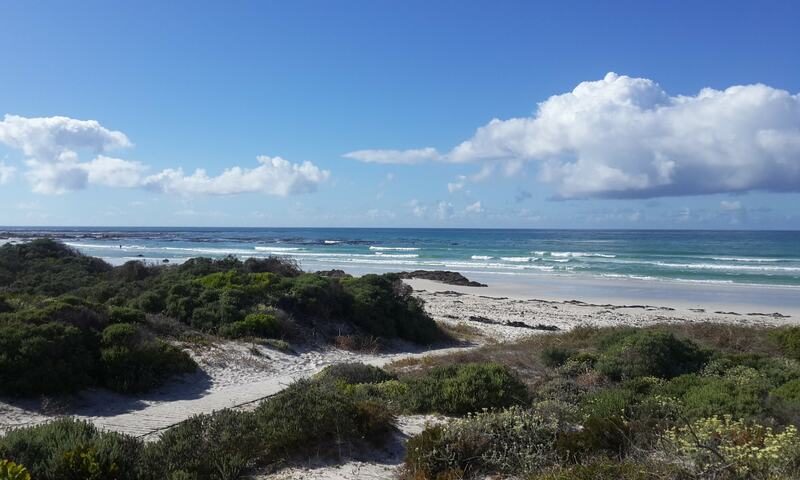 He was visiting Professor of Marketing at the University of Witwatersrand in Johannesburg, South Africa. 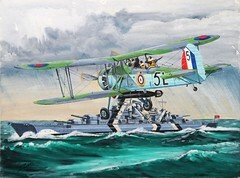 Derrick Dickens’ aviation artwork hangs in a number of private collections, as well as in Museum art galleries around the world including the Nimitz Naval Museum, Houston Texas, the Smithsonian Aerospace Institute, Washington DC, the clubhouse of the Confederate Air Force in Harlingen, Texas and the Warner Robbins Museum of Aviation in Georgia. 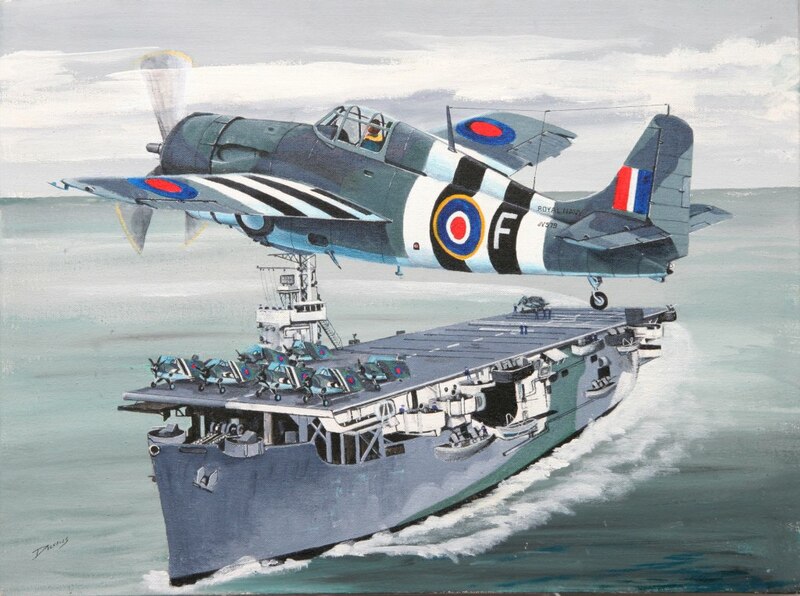 Apart from featuring aviation subjects in his artwork, Prof. Dickens also paints sailing ships and tug boats. 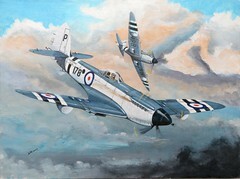 Derrick is known to accept private commissions and he may be contacted direct via email ddickens[at]mweb[dot]co[dot]za. 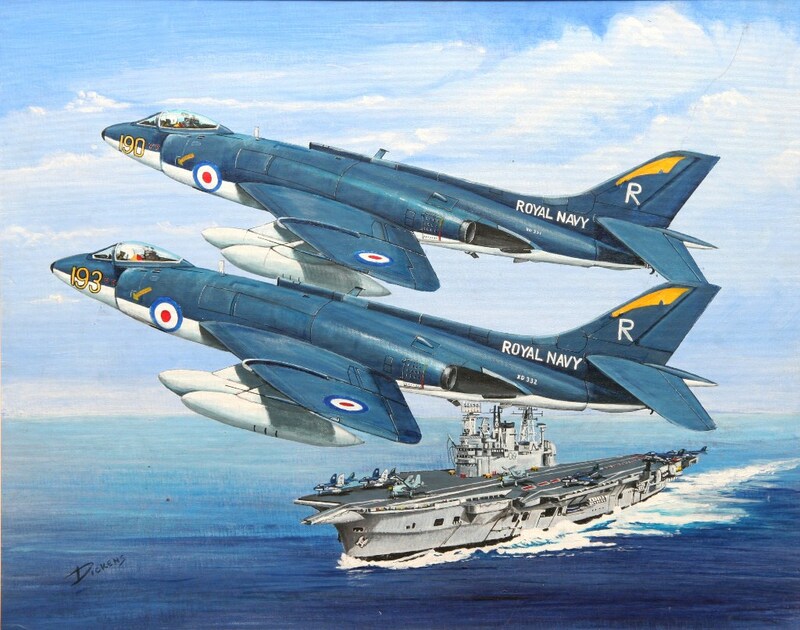 Next PostNext Drone That Crashed Inside Pakistan – Is It The Festo SmartBird?